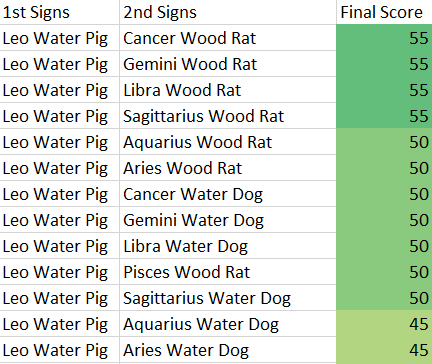 What are Leo Water Pig personality traits? People born under the Leo Water Pig sign are generous. They are not hesitant to give more than others. They have a strong sense of loyalty so don’t worry about them stabbing you in the back, in fact, they will probably save you from one. LWPs are very flexible. Just like water, they flow with the current while others would fight against it. Similar to a peaceful lake, the water is still and can be very calm even when a storm is present. Leo Water Pigs are known to be sturdy so it’s great to have them on your side when things become tough. They are popular creatures so expect a crowd of people constantly gravitate towards them. On the other hand, the Leo Water Pig sign has a tendency to dominate over other people. They may ignore other people’s feelings and force their way to obtaining what they desire. Their arrogance will make them think highly of themselves which can sometimes hurt others around them. The LWPs can be lazy and will sit on their thumbs until someone else pushes them to act. If there’s a conflict around them, don’t expect them to get involved. The Leo Water Pigs can be materialistic to the point in which they will put their own selfish desires ahead of everything else. They are also pigheaded and can become difficult to agree with others’ opinions especially when it’s something that they strongly believe in. 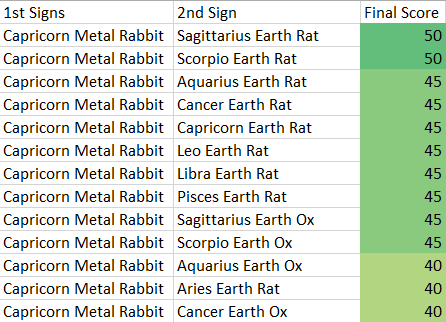 What are Capricorn Metal Rabbit personality traits? The Capricorn Metal Rabbit is one of the most ambitious signs. They will continuously drive their life forward to success for them. These creatures are very self-disciplined and you won’t need to make rules for them because they already exist. The CMR is a determined character and is able to see straight to their goal. Making sure nothing gets in their way so that they can cross that finish line every time. They are also self-reliant and will be fine by themselves. When they come into trouble, they are able to find their way out. The Capricorn Metal Rabbit sign is a graceful being. They are very polite and kind to the point that it’s hard not to like them. Most of all, they have an artistic nature so they tend to move towards careers or hobbies that involve the arts. On the other hand, the Capricorn Metal Rabbit is a stubborn animal. If they are fixed on something, you should save your energy from trying to change their mind. At times, the animal can show its pessimistic side. No matter how accomplished they are, they will still find flaws amongst themselves. The CMR can become an unyielding person. If you wrong them in any way, guess who’s going to apologize first. Many times, they can become impulsive and will act on their feelings rather than their logic. The Capricorn Metal Rabbit is a very cunning creature. If they want to achieve something, they will find deceptive ways to make it happen. Worst of all, they won’t stop themselves from being self-indulgent to the point that it might be harmful to their health or moral values. 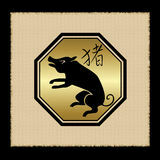 Which Chinese and Western Zodiac personality profile would you like to see? Please cast your vote in this format [western sign] [element] [eastern sign] – example – Libra Wood Ox. If you don’t know your signs and element, you can click on the links below to find out. What is my western sign? What is my chinese year element? What is my eastern or chinese sign? 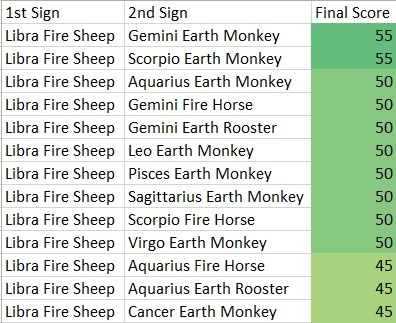 What are personality traits for a Libra Fire Sheep sign? August 2, 2015 August 22, 2015 Chinese and Western Astrology Zodiac Personality	Libra Fire Sheep people are known to be diplomatic. When there is a fight, they will have the best judgement to settle it. Libra Fire Sheep people are known to be diplomatic. When there is a fight, they will have the best judgement to settle it. These beings are idealistic which helps them lead with high standards for others to follow. People born LFS are dynamic, which means they are prone to growth and progression. They usually don’t have a problem when it comes to dealing with difficult situations or moving up in their careers. The fire element also brings warmth to people around them. They have a strong sense of kindness which makes it hard for people to move away from them. The LFS is one of the most gentle beings out there which makes them easy to get along with. They can also be artistic which they can turn this world into a pleasant and beautiful place. 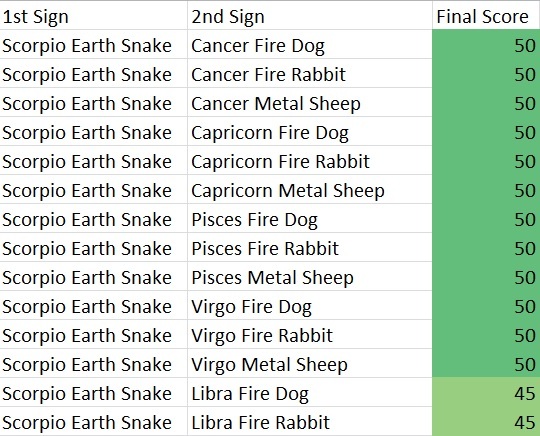 On the other hand, Libra Fire Sheeps can be very indecisive. They tend to want to make the fairest decision and sometimes choosing one side is the only option and that’s a nightmare for them. If there is something they desire badly, they can become self-indulgent which they will do whatever it takes to make them happy. The LFS can be an aggressive character. They will push people aside to obtain what they want. If they feel that their precious time is being wasted, they will become impatient and will take things into their hands without caring about other people’s opinions. These beings can also be very sensitive to the point that they cannot deal with the world. Worst of all, the obstacles that they face can drag them down to have a pessimistic outlook on life. What are the personality traits for a Scorpio Earth Snake sign? The Scorpio Earth Snake is one of the most determined people that you will find. If they are set on something, nothing is going to stop them from achieving it. They have a passionate heart so they put their 110% in everything that they take interest in. SES are conservative so they have traditional values and beliefs. They are logical to the point which people normally come to them for sound advice. The Scorpio Earth Snakes are a graceful animal, the way they talk, move, and display shows that they are elegant. Most of all, they are very wise which makes them capable of absorbing knowledge and experiences quickly and have a great sense of judgment. On the other hand, the Scorpio Earth Snake can become a jealous creature. They want control of their materials and especially their loved ones, so stay true to them or they will sting you back. Do not try to break their hearts, because they are resentful and are sensitive to most negative attacks towards them. SES can be very selfish and will not care for other people’s interest. They are unadventurous so don’t expect them to come up with anything fun or exciting. Scorpio Earth Snakes can be one of the most malicious animals. They sometimes don’t mind using unethical ways to achieve what they want without caring for people’s interest. Worst of all, SES is also possessive in which they will hold on to things and people even if it is not the best for anyone. What are Pig personality traits? February 9, 2015 August 8, 2015 Chinese and Western Astrology Zodiac Personality	Pigs are known to be sturdy so it’s great to have them on your side when things become tough and they are popular creatures. Pigs are known to be sturdy so it’s great to have them on your side when things become tough. They are popular creatures so expect a crowd of people gravitating towards them. Maybe it’s because they are sincere in which everything they do and say are coming from the bottom of their heart. Most of all, people born in the pig sign will always tell the truth because they are honest to the bone. On the other hand, the pigs can be materialistic to the point where they will put their own selfish desires ahead of everything else. The pig is pigheaded and they can become difficult to agree with others’ opinions especially when it’s something that they strongly believe in. Worst of all, they are gullible and will only see the truth when it’s too late. 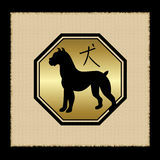 What are Dog personality traits? The dog is a man’s best friend and is probably due to their loyal behavior. Even when people have wronged them, they can still find a reason to maintain the relationship. Further, the dog is one of the most honest signs and they will hide no secrets from you nor tell lies to attain what they want. This animal is unpretentious and they won’t steal the spotlight. If anything, they sure know how to make others shine. Last but not least, they are fair and will walk extra miles to ensure others are treated equally, even when that means they will suffer a little more. On the other hand, the dog can become very pessimistic. They tend to complain about how it is not fair that their lives are less fortunate than others. The hound is head-strong and sometimes it is difficult for them to break away from their strong convictions. Most of all, the dog are known to be fickle which they cannot make up their mind and tend to change their decisions frequently.